Hello my awesome readers! Is everyone ready for a totally EPIC giveaway?!? As well as Amazon gift cards, and signed copies of her book. First Prize winner: Kindle Touch, $30 Amazon giftcard and signed paperback of Infinity. 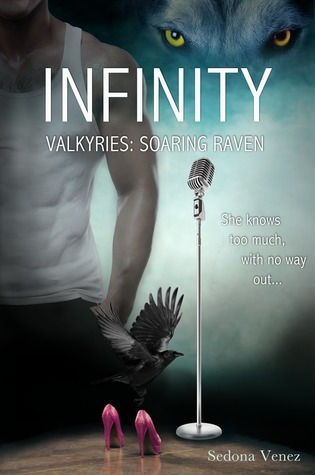 Second Prize winner: $20 Amazon giftcard and signed paperback of Infinity. Wow, I am totally jealous! Two of my readers are going to win some wicked cool prizes. and just in time for Christmas. ;) To enter the giveaway look at the end of this post for details. I really hope everyone will enjoy this post and have fun learning about this fantastic new novel. Just so everyone knows Infinity is a adult novel not YA. 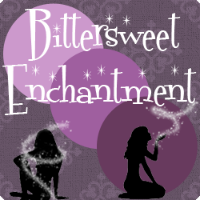 Genre and Age Group: Adult Paranormal Romance. For readers ages 18+ only. Infinity is a troubled 22-year-old superstar singer with the worst reputation for drugs and hard partying. Now, she is on the road to a comeback with her controversial tour. But everything about doing the concert feels wrong from missing employees, to anonymous threats to ruin her career. Things spiral further out of control as she wrestles control of her life and career from a relationship that crossed the fine line between love and obsession. She deals with a powerful corporation determined to kill her and everyone she loves. Infinity knows too much, with no way out. 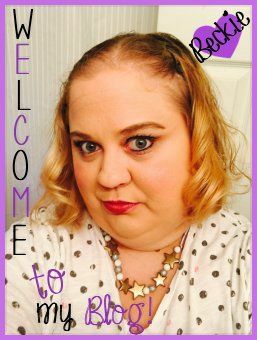 Sedona Venez writes Adult Fiction (paranormal romance) and is the alter-ego for T.L. Clarke, author of preteen/teen series Gabby Girls Adventure. She's a lifelong reader with a fascination with mythology and anything paranormal. When not writing, she can be found watching bad movies, listening to music, and traveling. Also to find out info about her YA series, Gabby Girls Adventure CLICK HERE. Please use the rafflecopter form below. Giveaway is OPEN to EVERYONE! Main entry: follow my blog via GFC. All additional entries are optional but will gain you more chances to win. Giveaway is open from today: December 14th until January 14th. 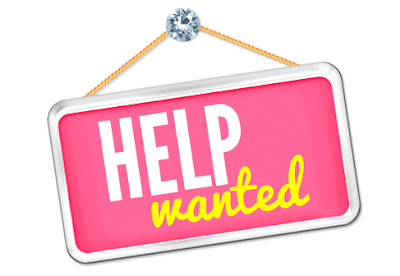 Any questions you may have please e-mail me @ ChiKittie(at)gmail(dot)com - HAVE FUN! If I won I would use the amazon gift card to either buy some gifts or get myself a few books I've been desperately wanting. I am a bookaholic, so I am sure I will not have a problem finding more books to read! I'd definitely spend the money on books. I have a lot of books on my amazon wishlist which I'm dying to read, so I'd definitely get some of them. I'd buy a book for my bf. I would buy the books on my wishlist and be very happy about it :D Thank-you for this giveaway! Oh, definitely buying books, which will be sweet. I'm also getting into book reviewing so buying books on Amazon would mean I could put up reviews for them, which would help my book reviewing endeavor as well. I would love to win! Thanks for the chance! I would stock up on some new contemporary romance ebooks on my long list on Amazon! Thanks a lot for this amazing giveaway! i will spend on books from amazon.. If I were to win I would definitely keep the Kindle Touch for myself. The adaptor where I charge my Fire is going out so I see needing a new one in the near future. I would use the gift cards to buy my two year old niece some new books. She WILL be a book nerd like her auntie! Your book sounds wonderful. A huge congratulations on the upcoming release! If a won a gift card I would be purchasing some books in a few series I'm following. Thanks for your wonderful giveaway and Merry Christmas. The cover is amazing and it sounds really good. If I won I would use the amazon gift card to buy books. Thanks for this absolutely amazing giveaway!! Oh, I'd definitely spend the gift card buying books. There are quite a few new ones that I want. This is an amazing giveaway! Thank's for sharing. I am going to post this giveaway on my Free Swag Friday post. I'd use the GC to buy books! I would totally blow every penny on INDIE books! Spreading the love and all that. Awesome giveaway. Thanks for doing this. WRITE ON! I would load up on books, of course! I'd spend the GC on books for my kids. If I won I would spend the Amazon Gift Card on more books for my kindle app on my Ipad 2.. I would spend the giftcard on lots of books to read and review! Sedona is so sweet and congratulations on her new book. She is giving out stuff on her blog as well. So sweet! If I won, I would buy myself Ready Player One in paperback! I have a daughter's birthday coming up so a GC would come in handy. She loves to read so books would be a hit. Congrats on your upcoming release, Sedona! I'd love the chance to read this...it looks fantastic... as far as the amazon gc goes...I'd buy books for the Kindle, always! I'd probably buy Game of Thrones merchandise on Amazon:) Thank for the giveaway! I'd probably buy Game of Thrones merchandise on Amazon:) Thanks for the giveaway! If I won I would use the amazon gift card to buy some new books! I would spend it on books, of course! I would def buy books on my wishlist! I've got to have your book, and then more books. Is there anything else in life? I would buy a book I've wanted to read for a long time. I would buy books on my wishlist love amazon my favorite! Thank you for the great giveaway! I'll buy some great books! I'd be having a book buying spree! Yippeeee! I would use the gift card to buy some Scream Street books for my grandson. He has aspergers and loves to read. He recently discovered this series of books and you can't find them where I live. So I'd love to order them for him. I would probably buy books with the Amazon GC. Thanks for the giveaway! This book looks great and is on my "To Read" list!Thanks for the giveaway! Question To Author: Do you know how many books will be in this series yet? I want to buy the Calvin and Hobbes complete set, so I'll use the GC to pay for half of it. BOOK HIGHLIGHT: Tidal by Emily Snow! Happy Book Birthday, Falling Kingdoms! Eternal Hope Blog Tour + Scavenger Hunt!